NEW YORK -- Gregory Soto finished 2018 by salvaging an inconsistent season with a strong showing in the Arizona Fall League. But he will begin the 2019 campaign on the baseball's suspended list. 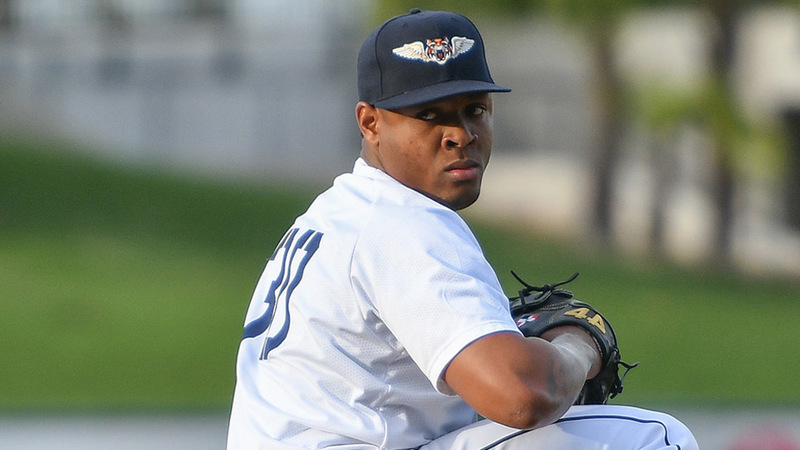 The Tigers' 14th-ranked prospect was suspended 20 games by the Office of the Commissioner of Baseball on Friday for violating Article XII(B) of the Collective Bargaining Agreement. That stipulation indicates that Soto committed "conduct detrimental or prejudicial to baseball." The 23-year-old made 25 appearances, including 23 starts, for Class A Advanced Lakeland last year and went 8-8 with a 4.45 ERA and 115 strikeouts over 113 1/3 innings. Soto struggled to find a groove during his first full season in the Florida State League but settled in in July, when he allowed 10 earned runs in four starts and one relief appearance (26 1/3 innings); opponents hit .186 against the left-hander that month. Control hampered him all season, however, as his 13.5 percent walk rate was the highest among FSL qualifiers. The Tigers sent Soto to the AFL to continue working on his repertoire, which includes a 65-grade fastball, and he found more success there. The native of the Dominican Republic made seven starts for Mesa and yielded 10 earned runs over 29 innings (3.10 ERA) and struck out 25 with a 1.17 WHIP. He was named AFL Pitcher of the Week for the period ending Oct. 28 after fanning 11 in 9 2/3 innings and picking up his lone win after a scoreless, five-frame outing against Scottsdale. According to MLB, Soto will be eligible for all Spring Training activities before beginning his suspension on Opening Day.